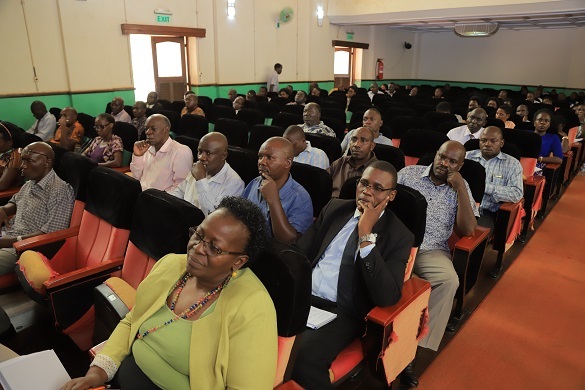 KAMPALA – Makerere University members of staff have been introduced to sustainable investment ideas and viable options for securing retirement income. This was during the pre-retirement training organized by the Makerere University Retirement Benefits Scheme (MURBS) recently. 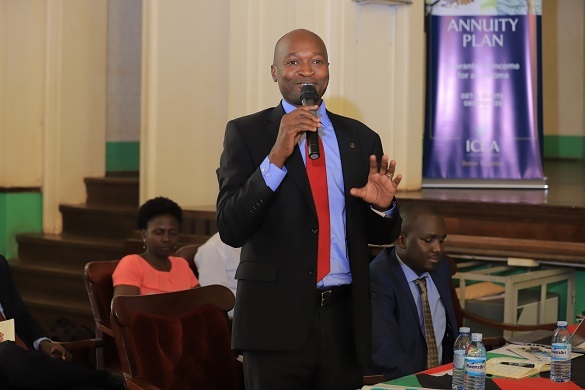 The training was attended by Academic, Administrative, and Support staff of Makerere University and was facilitated by professional trainers from ICEA Lion Life Assurance Company Limited and GenAfrica Asset Managers. During the interactive sessions on how staff can properly manage their retirement benefit, Mr. George Kaluma Mulindwa, the Investment Manager at GenAfrica Asset Managers advised staff to invest in areas that can sustain their post-retirement period. He also encouraged them to prepare and plan well for their retirement benefits. “Start looking at your income, assets and have a plan on how you can make your retirement benefit useful. We should be financially secure by looking at where our money goes, check our expenditures and always have a budget. This will help us to put our money into good use,” he said. Mr. Mulindwa urged participants to always ensure that they are financially secure, independent and above all, have the financial freedom during their old age. He introduced participants to several investment options among which included; cash, fixed income, shares, real estates, equity, agriculture. “Every investment has risks but we have to be a little bit conscious. Our objective is to have income generating assets and an income that sustain our retirement period. We retire when we are worn out, our regular demand is health care services. We should hence ensure that we have the income that can meet this basic service,” he remarked. Mr. Kennedy Odenyo, the Business Development Manager at ICEA Lion Life Assurance Company introduced members to a new retirement income option of Annuities. Mr. Kennedy Odenyo, the Business Development Manager at ICEA Lion Life Assurance Company introduced members to a new retirement income option of Annuities. An annuity is also referred to as a pension, and it is designed to protect people from the risk of outliving their income. According to Mr. Odenyo, Annuity arrangements allow the retirees to have guaranteed income for life or for a convenient number of years after retirement. This follows a stipulated premium paid by the person seeking the annuity (annuitant) either through prior installments or in a single payment, such as a member’s accumulated (prescribed portion or all) benefits upon retirement. Annuities are provided by insurance companies which are licensed to provide this service in accordance with the Law. The Chairperson MURBS Board of Trustee Mr. Wilber Grace Naigambi thanked the staff for attending the training in big numbers and encouraged them to reflect on the information they had received with seriousness. He thanked the facilitators for the informative message that will have a positive impact on staff when preparing for retirement. In the same spirit, he acknowledged the MURBS organizing team for the successful event.